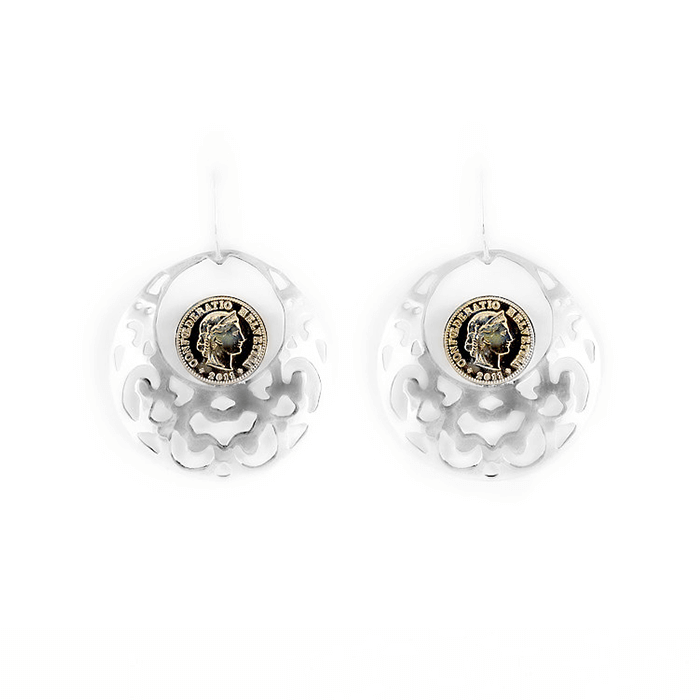 Showcasing coins with leading female figures : Marianne and Helvetia, and a soft color palette, the pieces of this collection are such as roses with thorns, beautifully feminine and yet never defenseless. This collection is Eduardo Sanchez ‘s invitation and reminder to all women to be fierce, everyday. 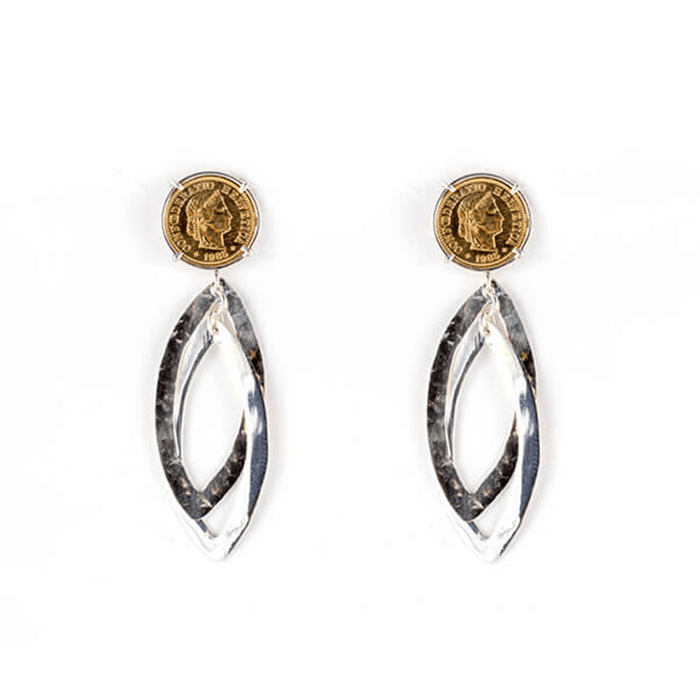 Named after the goddess Europa, this collection is a tribute to the extraordinary strength of women throughout History. With an unbreakable will, women have fought countless times in the past and continue until this day to achieve equality. Helvetica coin dipped in 24k gold and then mounted in sterling silver. 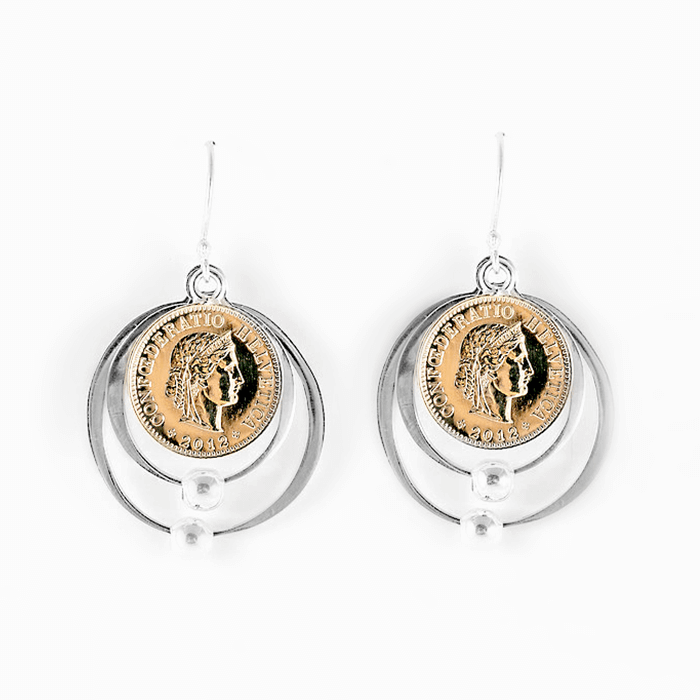 A playful collection of sterling silver design carefully adorned with a Roman Helvetica coin dipped in 24k gold top. 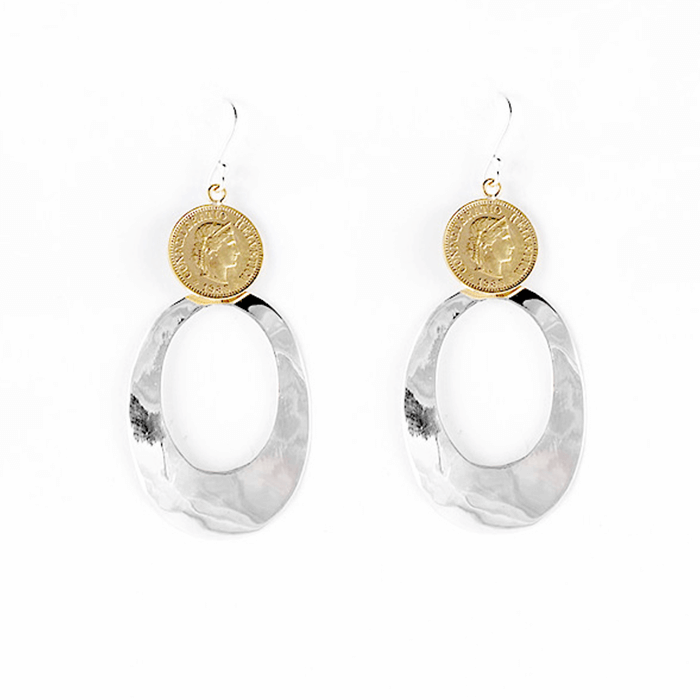 Sterling silver hoops carefully adorned with a Roman Helvetica coin dipped in 24k gold. A Roman symbol Helvetica coin dipped in 24k gold is placed in its center. 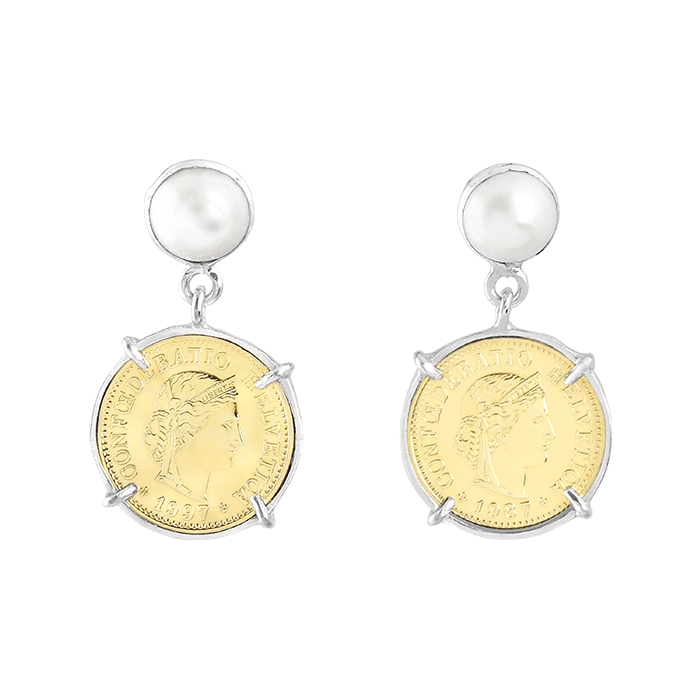 Accompanied with Roman symbol Helvetica coin dipped in 24k gold, adding sleek style. 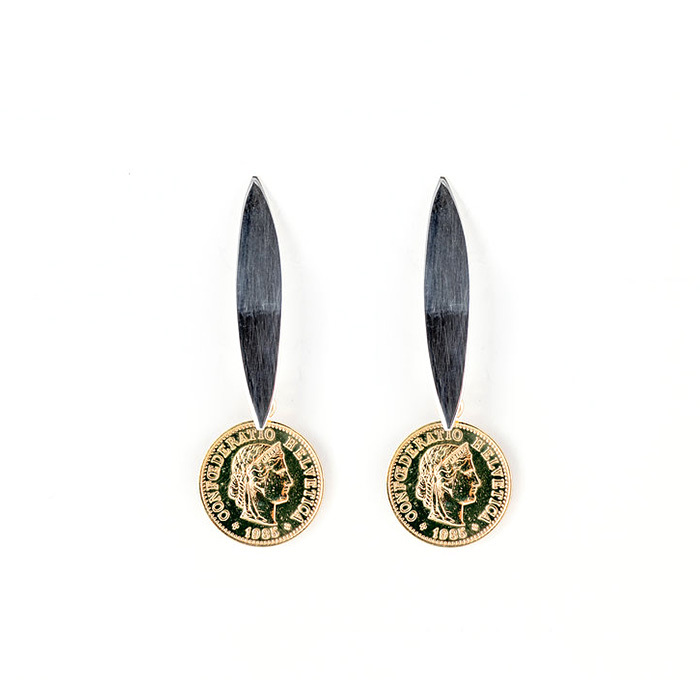 Helvetica coin dipped in 14k gold and bezeled in sterling silver. 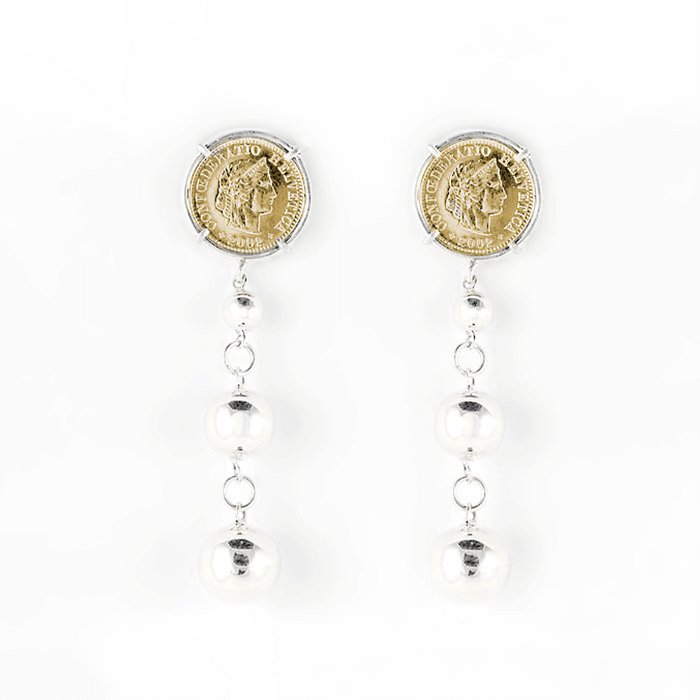 Roman symbol Helvetica coin dipped in 14k gold placed in the center. Helvetica coin dipped in 14k gold. 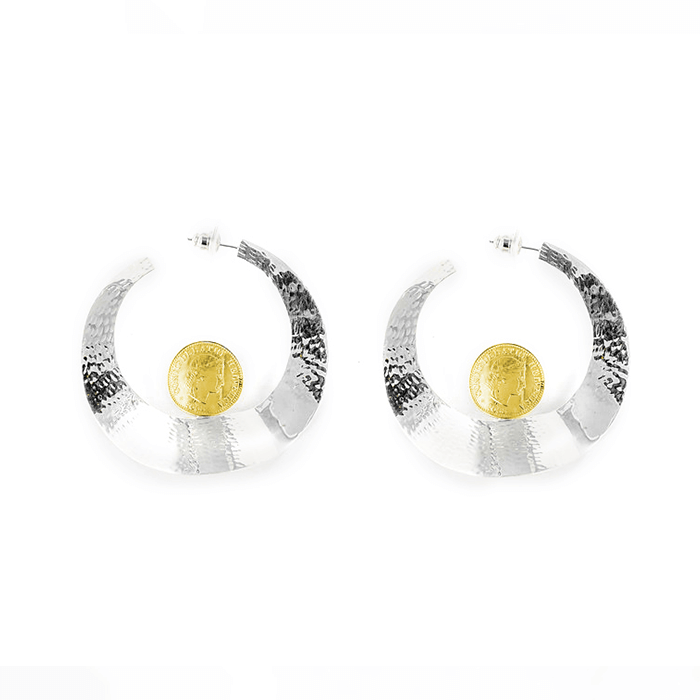 Fine silver round shape designs fall down carefully.. 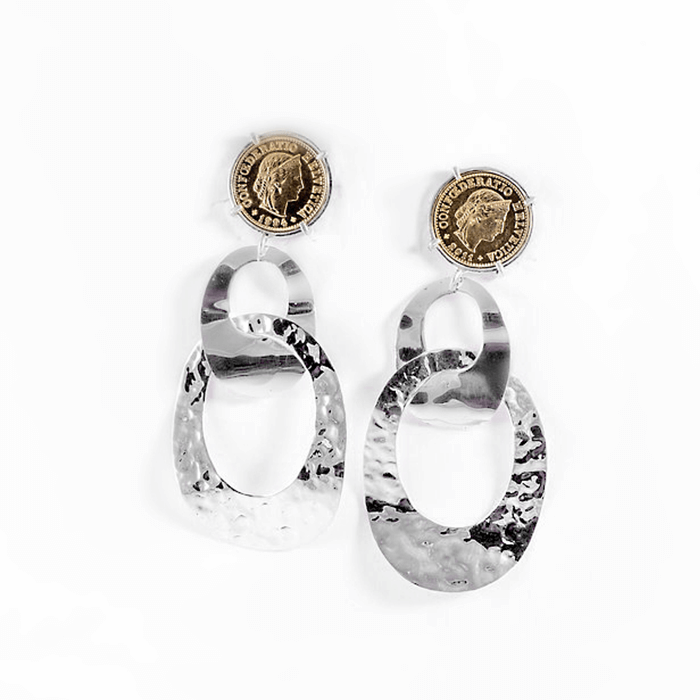 This Helvetica coin is first dipped in 24k gold and then mounted in sterling silver.